Ideas: Who are the better parents? Introductions: Is Money a Good Motivator? Should we ban dangerous sports? Education: Too Many People with Degrees! Do Degrees Make Us Happy? Should rich countries help poor? In the forum on this page you can see IELTS essays by people just like you. Hundreds of people added essays and comments and helped each other to get a great IELTS essay score! Have a look at their amazing writing! 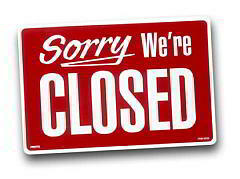 Please note: This forum is closed! Sorry! However, please enjoy the hundreds of essays and thousands of comments still available here. A HUGE thanks to all the writers who commented and to all the visitors. We hope we've made IELTS writing less scary. Click the links below to see essays on that topic. Your Argument and Opinion Essays! As much debated issue these days is whether eat at home or restaurants. In our daily live, we have been eating three meals per day. Some people prefer eating at restaurants rather than eating at home, while other opposite that. For my part, I agree with those who state eat at food stands or restaurants for many reasons such as that would safe the time, it is delicious, and we do not have to clean after finishing the meal. Some people in favor of that eat at the restaurants for many aspects. Frist of all, if they eat at restaurants, that will safe their time especially for people who do not have free time to prepare their meals. For instance, since I was in the university, I had not been having enough time to prepare my lunch. In that time, I always went to restaurant for ate my lunch. Second, it is good for people who do not know how can they cook to eat at restaurant. Third, after they eat at restaurant, they will not clean the dishes or kitchen, that would be great for lazy people. On the other hand, eating at restaurant going to waste their money. For example, my friend always eats at restaurant, she spend 500 hundred each month. Thus, she borrow money for her friend, or sometimes, she get a job to cover her expenses. Furthermore, restaurants usually add some chemical substances to make their food more testy and delicious. As a result, that affected on our bodies and healthy, may cause serious disease such as cancers and tumors. In conclusion, eating at restaurants has advantage for people who do not have free time to prepare the meal. Moreover, for people how do not have any idea about preparing the food. However, eating at restaurant may waste your money and cause health problem. I prefer to eat at restaurant how ever the cons is. Hi Lazer505 and welcome to Writefix. I hope you can help out some other people in the forum here. No, it's NOT a much-debated issue! I have never debated it with anyone. Most people haven't sat around and said "Is eating out better than eating at home?" I'm fairly sure you have never had a discussion in class about whether eating at home is better than having a Big Mac or a falafel sandwich. I am agree with the statement that "Eating in restaurant better than eat at home"
No IELTS examiner ever wants to see these phrases again. Ever. So what can I write? You could say what some people do, and what some other people do "Some people love fast-food like McDonalds or eating in college cafeterias. Others prefer..."
You could ask a question: "Why do so many people enjoy eating in restaurants? Is it because..."
You could talk about the past and the present: "In the past, most people ate at home. Today, however, many people enjoy eating out." See more examples of introductions here. For my part, I agree with those who state eat at food stands or restaurants for many reasons such as that would safe the time, it is delicious, and we do not have to clean after finishing the meal. For my part, I agree with eating at food stands or restaurants because it saves times, it's delicious, and we don't have to clean up after finishing the meal. In Paragraph 2, you wrote a topic sentence but you didn't get it quite right. Some people in favor of that eat at the restaurants for many aspects. Why not just say it in your own words? What does 'that' mean? Forget about 'the statement' or 'agree' or 'in favour' - just say what you want to say. I love eating in restaurants. On the other hand, eating at restaurant going to waste their money. On the other hand, eating at restaurants wastes money and can be unhealthy. Now the topic sentence tells the reader everything that will be in your paragraph. I prefer to eat at restaurant how ever the cons is. I prefer to eat at restaurants because I don't have much time and I love the taste. Now, if you will excuse me, I am going to have some KFC. OK, you don't need the last part, but the important thing is to write, without trying to remember 'IELTS' phrases. You will be fine! Hi, Enda, why should the phases be avoided? some problems? because too many students uses these? Exactly! Too many writers (not just students) use them, and the phrases become meaningless and tired. Often examiners see papers where the memorized phrases are perfect but everything else is rubbish. The phrases don't help to get a better score. The more common problem is that people think they MUST have these phrases. They try to remember them and get all mixed up. Sure, if someone can use them correctly AND make them relevant to the specific essay topic, then that's fine. But if you are so skilled in writing, why use these tired old phrases? Here are two examples where the phrases are accurate AND made relevant to the topic. No one can deny that obesity is now a major problem in western countries, with over half of some populations either overweight or seriously obese. Moreover, as more countries develop and adopt western eating habits, obesity is set to be a major global problem in the near future. It is said that people who don't know their past cannot have a future. I agree with this statement, but I think history should be only one of many related subject taught in schools. Children should learn about their art, their music, and their language, rather than just a boring list of wars and prime ministers. thanxxxxxxxxxxxxxxxx so much for your advise you know i always use these phrase, but know i will not you them ever ever. You noticed a very good point. As most canidates who seek to get a high score , do not have any information about what examiners think when they read and score their essays, and also because it is very common thesedays to see that institutes and other teachers try to force students put uncommon and pompous words and already-memorized phrases , our essays turn to an ackward essay. It also may because of most of us started learning English with Cambridge Reading Books for IELTS with high level of writing. Infact, we try to write like them to get more score but unfortunately because of poor grammar and knowlege it is going to become a problem. I think as you already mentioned we should think on conveying our meaning then think of formation and high grammmar. And about those memorized sentences ( I myself do it ) I was wondering whether it is regarded as a memorized. Since I know that at the bottom of every papar of essay written "memorized" . Could you describe it to us which phrases for example " as far as I am concerned" or it is very controversial issue and so forth are considered in term of memorized? Well, the 'memorized phrases' are the phrases highlighted in yellow at the top of the page. Here are many more! Although there are many advantages for X, there are also many disadvantages. I am in favor of the question that "Should rich countries help developing countries?" I am against the question that "Should rich countries help developing countries?" This I will explain in my essay. This for several reason. Which I will explain. Most of these are not wrong (except for 10-16) but they are old, tired, hackneyed, worn out, overused, dead, cliched, lazy - and do not contribute to your writing. IELTS examiners know these phrases and sentences and wake up screaming them in their sleep. And there are many more! People like different ones in different countries! Yes, you lose marks if you use them - particularly if you use them in the wrong way. Even if a writer uses them the right way and the rest of the essay is rubbish, adding them won't help him or her to get a higher mark. There's another problem: long memorized phrases or chunks may not even be counted in word length, so you could write 250 words but still be penalized for being under-length. "X" is a hotly debated issue in the world recently. This has many advantages but it also has disadvantages. Notwithstanding, in my essay, I will explain my opinion and give the solution. New/Recently Updated Topics The young or the old - who is more value… Can cultural traditions be destroyed by … Should museums be free? (New IELTS topi… Are families as close as they used to be… Is having food from all over the word al… Government or individuals: Who is respon… Why is the forum closing? Is reading or watching the news a waste … How to comment (2) Should jobs be guaranteed for life? Compare modern shopping centers to local… Should governments make more effort to p… City or countryside - which is better fo… Do multicultural societies have benefits… TOEFL Topic: Would you support building … Is fast food replacing traditional food? Are we spending too much on protecting a… Should car ownership and use be controll… It's been fun! Who can help me to modify this essay?